I didn’t know what the Lokpal Bill is all about. I decided to find out, rather than show a quick support. And this is what I found. Since this is about politics and has garnered a decent amount of public sentimentality and sensitivity; a disclaimer surely helps. I am an ordinary citizen of India. I take pride in the fact that I am a grandson of freedom fighters – who believed and fought for the freedom of this nation in their own limited ways. I get goosebumps every time the national anthem is played and I’ve personally learned not to get all worked up when morons disrespect the national anthem in cinema halls across Mumbai. Due to conditioning and the way I have lived so far – I haven’t reached a decisive point in my life to put my complete faith in a single political ideology. Although I must confess that I have read very limited material on the framework, role and development of political ideologies in India. Yes, I have casted my vote. I don’t claim to be an intellectual or expert on political issues. I’m in the business of advertising and have pursued education as a means for employment and enlightenment like any average citizen belonging to the post-liberalization era of India. I mostly write for myself. All views expressed in this post and blog are solely mine. I have great respect for towering personalities like Mahatma Gandhi and Anna Hazare. I’m not even eligible to comment on the depth & magnitude of their work and commitment to this nation. I was genuinely appalled and disturbed by the way people were giving blind support to causes of the magnitude of Anna Hazare’s “fast until death” till Lokpal Bill is passed. The swift & ease with which some of my friends showcased their support without actually taking effort in understanding what the Lokpal Bill is all about – really stumped me! Add to it reports like these which state that “On an average, there was one tweet per five seconds about him (Anna Hazare). Several Facebook users put up status updates about him”. This is my effort to understand the issue. I request your co-operation in correcting me wherever I falter. Yes, you may even contribute to it. What is the Lokpal Bill? Simply put, Lokpal Bill is referred to as the empanelment of an ombudsmen appointed by the legislature, in an independent capacity that reports to the legislature. This person can act both on the basis of complaints made by citizens, or suo moto while ensuring the main objective of providing justice to people. Now whether this sort of justice is a speedier, non-complicated, cheaper or a direct method is a subject of another debate. To quote from this TOI article, “The basic idea of the Lokpal is borrowed from the office of the ombudsman in other countries. It provides for filing complaints of corruption against the prime minister , other ministers and members of parliament with the ombudsman. Anyone, except for a public servant , can file a complaint and the Lokpal has to complete the inquiry within six months”. This bill was first presented during the fourth Lok Sabha in 1968 and has been mooted 9 times in the house in different years. However, it is believed that our Prime Minister Manmohan Singh wanted to act on this bill but was met with failure when “certain strong lobbies” blocked it. a. Single point agenda of delivering quick justice. Thus ensuring less corruption. b. Seeks to build a better, healthier and civil society in India. A decent comparison of Government’s Lokpal Bill with Civil Society’s Lokpal Bill is done here. Its a must read and raises several interesting concerns. a. Is this the single-most-absolutely-effective way of minimizing corruption in this country? Not necessarily. Multiple equally relevant methods and ways can be suggested by experts. b. The bill seeks to empower “do-gooders” as “representatives of the people” without due process of election. Election is one of the costliest affairs in this country. Another task for spending public money? For setting up an authority to oversee the authorities we elect? A decent critic about the shortcomings of this idea and the role of Anna Hazare has been published in Business Standard yesterday. Read here. How am I expected to react? As a concerned citizen of this country, I give my support to all initiatives that promises to make our lives better. That promises to adhere to all the powerful tenants of the constitution of India ensuring justice, liberty and peace to its citizens. But to what extent should I support? And isn’t it my responsibility to weigh this cause and its surrounding developments in the light of reason and rationality? In fact before supporting this cause I would like to ask a few questions to myself and the people who might be reading this post. Question 1 – When was the last time I actually took time and effort to showcase my blatant support to any cause? Never. I came close to expressing my support on the streets after twenty six eleven. But had to withdraw at the last moment because I had a professional commitment to keep. I had to care more about my job than burn candles or find time to showcase my concern on the streets of Mumbai. So, I chose to offer a silent prayer. My take on twenty six eleven is published here. And I’m being frank about admitting the fact that on any given day I care more about my family first. I may be wrong. That much for my commitment to a cause concerning the city. Question 2 – Anna Hazare is a great man. No doubts about it. Like the Business Standard article states, does he have to “fast unto death” for a cause that has its own limitations in implementation? The fact is that nobody is guaranteeing the possibility of these “ombudsmen” not getting corrupt! Maybe Anna Hazare still believes in a India that Gandhi had envisioned. But the fact is that we, as a nation have failed to live upto Gandhi’s and Anna Hazare’s vision. Citizen initiated modern methods of tracking bribes – http://www.ipaidabribe.com – paints a tiny perspective of the real situation. Question 3 – Fine. Let’s take a scenario where I agree to showcase my support and I actually participate in a fast for a limited period of time; will I ever in my right mind take the time, effort and money to challenge a politician for the benefit of the society by using the Lokpal Bill? Question 4 – What happens to the people who use the Lokpal Bill as a tool to fight corruption. Are we forgetting what happened to Satish Shetty from Pune; Amit Jethwa from Gujarat; Shashidhar Mishra from Begusarai? We don’t even remember these names right? These are RTI activist who got killed for raising their voices. Does the law offer protection to RTI activists? Will it offer even basic protection against physical and professional victimization for people who decide to make good use of Lokpal Bill? Forget life protection. Question 5 – And finally, as a democracy have we truly come of age when it comes to participatory nation building? Don’t we have a “kaala bandar” (a black monkey popularly known as a monkey man) inside each one of us? So what is the solution? You may term me as a cynic who was never able to appreciate the smell of the flowers and was busy looksing around for a coffin. Honestly, I am just questioning my capabilities to pass a judgement on how the flower smelled. I don’t have answers to all questions. This subject should be debated upon. The various aspects must be highlighted. And then we, as citizens should take a stand. Corruption at the core can only be tackled if we enable our children to understand the difference between feeding a hungry person and feeding a greedy person. Yes, we have seen a season of scams. From common wealth games to spectrum sale. And as a nation we just came out of a “high” after the world cup. Needless to say our patriotic sentiments have bled blue. But should it bleed red now? Anna Hazare did the right thing by discouraging politicians to share the stage with him. That man clearly doesn’t want this to be another political showdown. He genuinely wants this bill to be passed. As a citizen, I will question my commitment first before taking a decision to support it. Clearly this commitment goes beyond a tweet or a status update. And its not easy. ~ by rb on April 7, 2011. Great post! But I think you, you should look at the bigger picture. Every change needs a starting point. I agree with you that the Civic Society’s version of the Lok Pal bill has many flaws and unrealistic demands, which need to be debated and reviewed and then passed. I don’t think any of the protesters believe that the bill will be passed in a day – that won’t happen, there is a democratic process in place and we have to follow the system. I think what people really expect from the government is a commitment to involve the masses (of course they represent the masses but then do they really is the question) – individuals who are known for their integrity and uncorrupt ways in putting together a bill that is not one sided and one that punishes the guilty. I am not sure of the outcome of these protests but i am sure of one thing, it will spread awareness, it will help all – i say all who have dealt with the evil of corruption in some way to contribute their bit to the movement. It will tell the government and our elected leaders that the past is past, the party is over, going forward corruption in any form will not be tolerated. thanks a lot merlin for taking the time and effort to comment. yes, i agree with you. would like to add that commitment involves both the parties – elected representatives and the people. the question is: how far are we willing to take this commitment seriously (public life and private life). because if we don’t, it will be another form of evolved hypocrisy. I think you are being very honest in your appraisal, but if India were full of apathetic and defeatist folk, we would never had achieved independence. If you cant actively participate in making change happen, at least support those folks who are trying to. Pray that enough anger accumulates to change the status quo. Dude great post and I too agree that for a person like me it won’t be possible or rather say I won’t take part in any of the public issues giving excuse of family and other commitments. But I think we need to support the Lokpal Bill, as it would benefit in the long run even if one politician is booked & punished for corruption it would be victory of the bill rather than letting all these politicians roam free without fear of being punished. thanks madhu. agree with you. now, since Anna Hazare has ended his fast, one thing is clear – the nation has collectively expressed its anger against corruption. this is definitely a great start! Guys we can’t expect the corrupted past to be cured, but we can hope to stop the corruption in future. Hope leads to dream and dream leads to a successful future. We should not stop hoping for the best. thanks priya. appreciate your concern. among many things, i would just like to say one thing: nobody is supporting corruption.. we all are against corruption.. but lokpal bill is not the only way to fight corruption in a democracy like India. Lokpal bills should be again include more solution and transparency..Its really not possible for common man to come down the street and showcase…Well Anna Hazare’s has started this fight and i can see no politician giving moral or any kind of support in which they promise after getting elected..Instead supporting and giving help, this politicians are against him and finding means to humiliate him and finding excuses. You are just a fool who loves to write none of your questions make any sense, just look at your questions and then to the rest of the things you have written all over the page. I would like to ask you why you not take any action @ 26/11 , who stopped you and why you stopped. 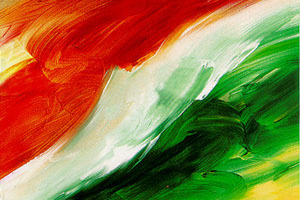 I am agree that you are not showing any kind of protest against Anna hazare. But what you write here shows that you are not capable of doing all that stuff you have wriiten above. Being a critic is very easy thing to be, but its hard to make a place in the world. Inclusion of PM, Cheif Justice SC in Janlokpal is something to fathom about. If the Lokpal is given the supreme power who would repect our Judciary or the government. If Lokpal bill is passed the basic format of our constitution has to be changed.Lokpal would be the fourth estate along with Parliament and Judiciary. Can we trust Lokpal to give it such a stance. Can we be sure that Lokpal can deliver us from the menace of Curroption ?? Giving the power over the PM and the CJI would make the Lokpal Supreme power in India. This will lead to political instability. It’s like giving the watchman the higher rank than the owner of the house. Is Lokpal something that can be given just because someone is fasting for it. It’s like giving chocolate to a child just to stop him cry. No doubt that Lokpal is effective as much as to curb corrupt officials and politicians in India. But even it’s illeffects have to be considered. We cannot just prescribe a medication since it gives relief, ignoring its longterm, deleterious adverse effects. Well, even if Lokpal is established what are the chances that everybody constituting the Lokpal is honest and corruption free…?? Happy that India is against corruption.Everybody wants a corruption free India, don’t we?? But is Lokpal only the saviour..?? India needs stronger laws than Lokpal. It is the people who ultimately has to change rather the governmenr passing some Law. i will say thatsomething is better than nothing let lokpal stop only 50 percent corruptionredt u stop. Country, corruption, citizens, three go hand in hand, where do the ” I ” stand here, being a average citizen where is my role in Lokpal? is the phrase something better than none really applicable to Lokpal? sometimes majority is not enough without proper guidance, I am yet to develop my hopes for Lokpal. Anna Hazare is a great man, but this contemporary history is far from its aim …. nice one plz eloborate more on ne of lokpal bill . great thought on this issue , now a days its a bigger problem of our country and we r suffering not government.